Our aim is to conform our beliefs to the Magisterium of the Catholic Church under the patronage of the Blessed Virgin Mary. St. Louis spent most of his priestly life preaching and teaching in western France, basing his teaching on Mary on the principle that just as God had initiated the work of Redemption on the basis of her cooperation, so he would continue and finish that work by means of her: "It was through the blessed Virgin Mary that Jesus Christ came into the world, and it is also through her that he must reign in the world." He also stressed Mary's role as spiritual mother of all Christians, basing himself on the fact of her divine maternity and her role in Redemption. He taught that by means of her faith, trust, love, and holiness, she merited the status of Co-Redemptrix, one that gives her rights over all mankind, since Jesus' death was sufficient to save all mankind. Since she is the spiritual mother of every human being, then we are her "children" in the order of grace, and as children, especially when they are still in the womb or very small, are totally dependent on their mother, so we too are totally dependent on Mary as Mediatrix of all graces. This implies that we should be totally devoted to her, which is the essence of the "Holy slavery of love," although perhaps the idea of spiritual childhood, as popularised through St. Thérèse of Lisieux, is easier for the modern mind to understand and accept. 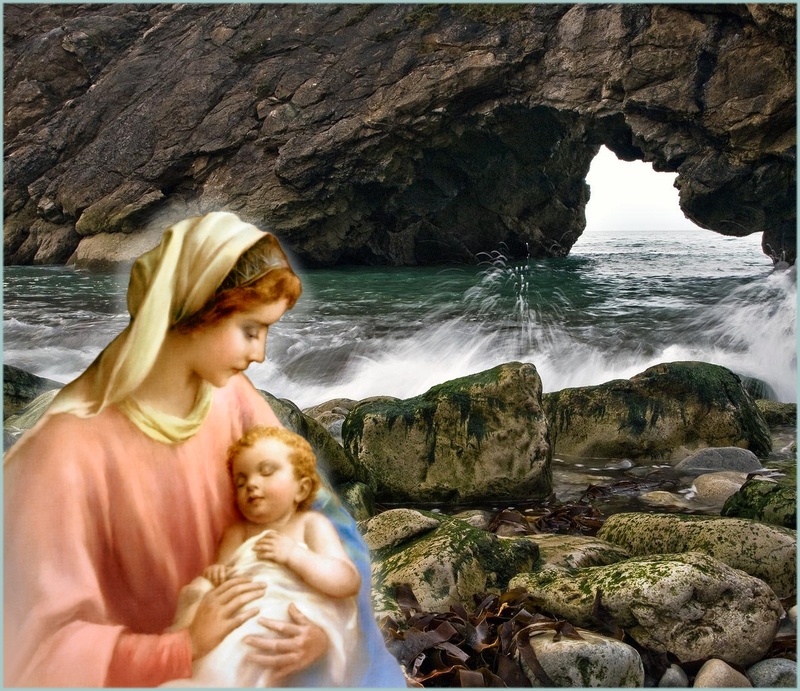 St. Louis composed a formula of consecration to Mary that emphasized the idea of the individual making a total offering of self to God through Mary, arguing that this was really a renewal of the baptismal vows, in which the individual is completely consecrated to God. He insisted though that this consecration had to be carried over into daily life, as a lived spirit, if it was to be really effective. St. Louis's major work, the Treatise on True Devotion, was hidden away and not found until 1842, when it providentially began to contribute to the resurgence of Marian ideas that took place from 1830 onwards. His work has been approved by a number of Popes, and he was finally canonised in 1947, thus indicating that the Church has found nothing objectionable in his ideas on the total consecration to Mary. 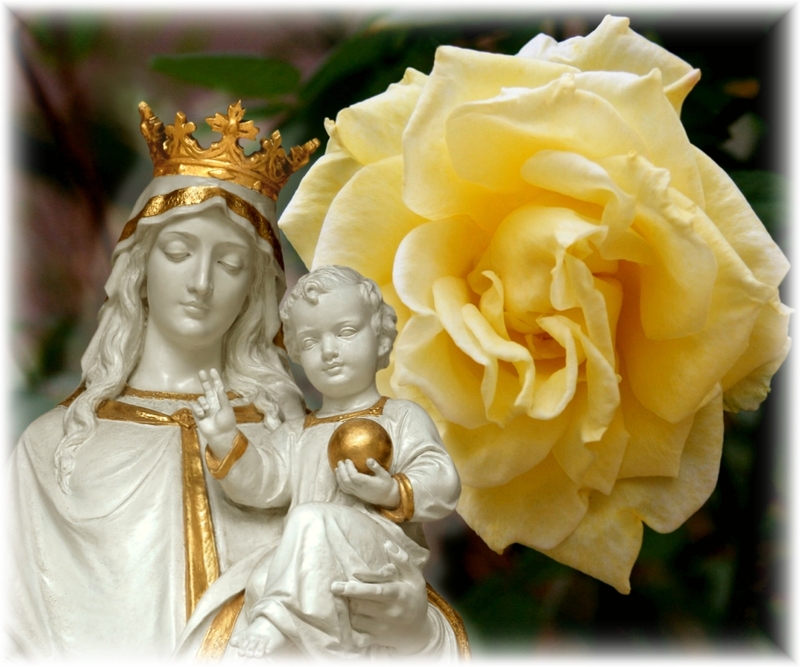 St. Louis made a number of interesting prophecies concerning the future role of Mary in the Church and the world, including this statement in the True Devotion: "If ...as is certain, the knowledge and the kingdom of Jesus Christ must come into the world, it can only be as a necessary consequence of the knowledge and reign of Mary. She who first gave him to the world will establish his kingdom in the world." St. Louis then went on to describe Mary's future role: "The salvation of the world began through Mary and through her it must be accomplished. Mary scarcely appeared in the first coming of Jesus Christ so that men, as yet insufficiently instructed and enlightened concerning the person of her Son, might not wander from the truth by becoming too strongly attached to her." He argues that the reasons for hiding Mary's importance, that is the danger of her being treated as a goddess by the early Church, no longer exist, and so now God can reveal her and make her better known during the "latter times." This prophecy certainly seems to have been at least partially fulfilled in the nineteenth and twentieth century Marian apparitions and their aftermath, but St. Louis apparently goes on to argue that an even more splendid Marian age is to come. He foresaw men and women who in their true devotion to Mary would prepare the way for Christ by living the message of the Gospel in simplicity and humility, and thus inaugurate a future great triumph for Christianity, but one also involving persecution and suffering for the Church. This seems to agree with the prophecies made by St. John Bosco in the nineteenth and by Mary herself at Fatima in the twentieth century. St. Louis-Marie Grignion de Montfort preached devotion to Our Blessed Lady in order to bring the Jansenist heretics back to the Catholic faith. One of his books, True devotion to Mary, is destined to become a Catholic classic, alongside books like Imitation of Christ. Ave Maria!